Hortense de Beauharnais: "Madame, you must wear silk!”. There was no more trade, no orders, there had been many deaths among the weavers. Napoleon was particularly enamoured of the city of Lyon: the five times he visited there are inscribed clearly in the history of the city, from his return from Italy to the Hundred Days. At each visit, he made a point of visiting the Lyon silk workshops, and had a very acute vision of what should be done to revive the industry in Lyon. There was a real desire for revival through power. 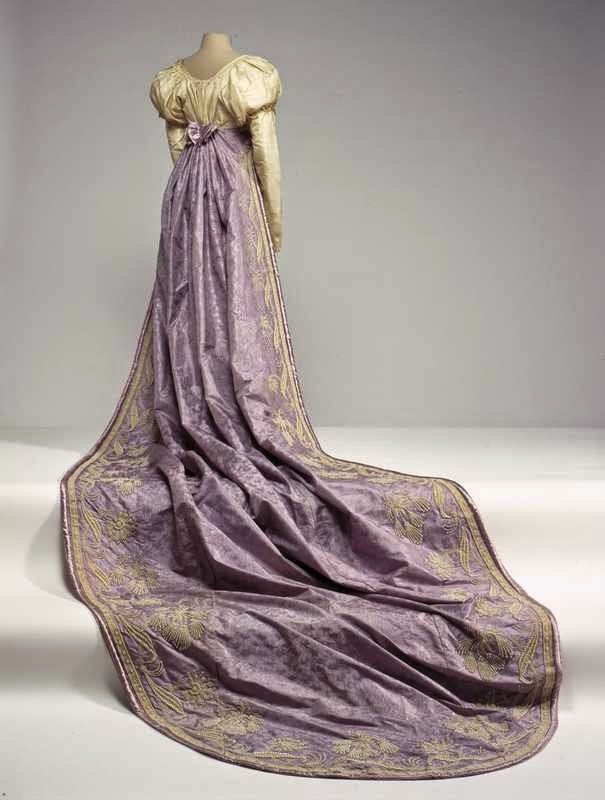 From the very beginning of the nineteenth century his numerous orders of damask - a rather simple but very beautiful fabric – were used to "imperialise the royal palaces", starting with the Palace of Saint-Cloud. 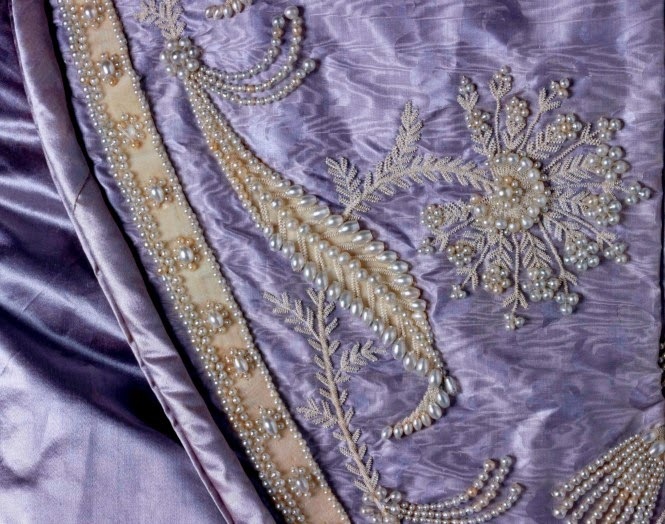 These fabrics herald a new era: we see already the two typical groups of motifs of the First Empire: the floral and the geometric... From the outset Napoleon is aware power of luxury as a political instrument, for fabric as for the other decorative arts. In 1811 and 1813 he made two huge orders: it is said that these two commissions alone represented over a hundred kilometres of fabric.